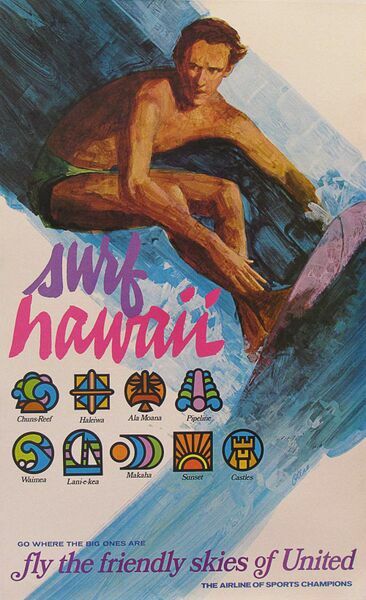 Vintage late 60s Hawaiian travel poster from United Airlines. Features a dramatic surfing scene and lists 7 famous surf spots in Hawaii. signed Otero and in great condition.